AngularJS and Breeze – A simple crud app – Part 2 – Adding create, delete, reset and is dirty checking. In my previous post I created a simple [AngularJS – Breeze] edit view. 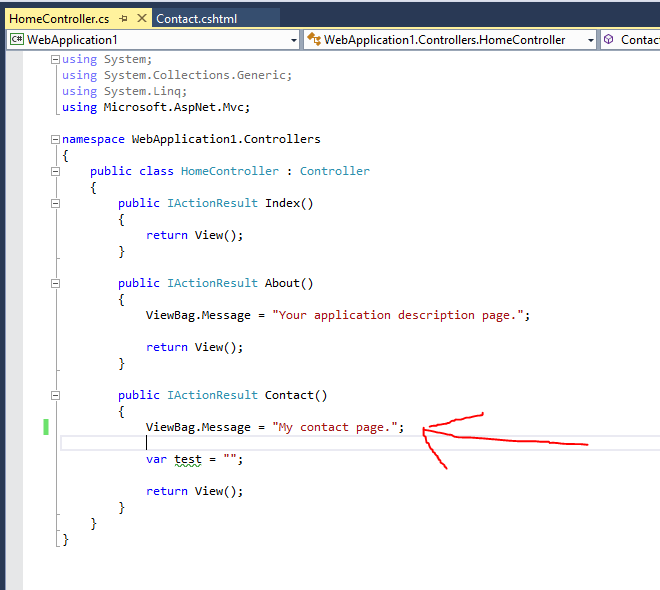 In this post I will add the create, delete, reset and “is dirty” (entity change state tracking) to the simple view. The user clicked on the create button, so an “is dirty” icon is shown and a new row is added to the grid. When the user fills the fields of the new row and clicks save, the “is dirty” icon will disappear and the id field will automatically be filled by the id generated on the server in the database. 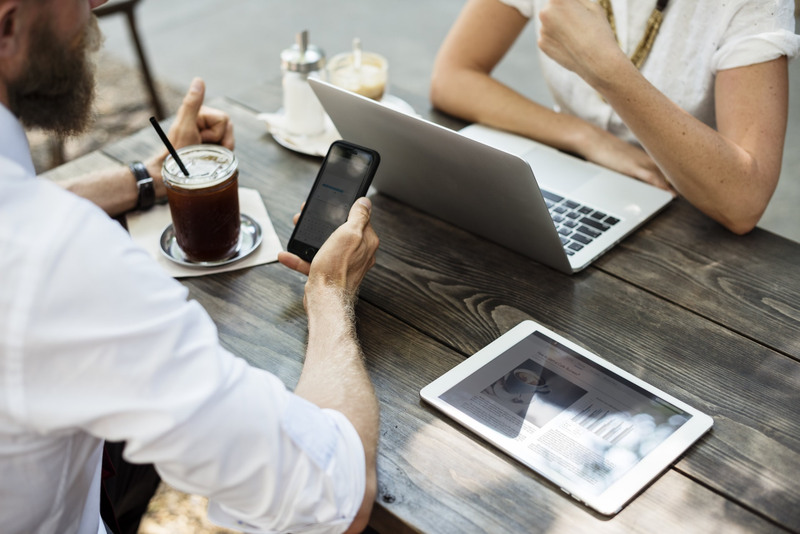 When the user create, updated and deleted some records and pressed save, the original state of the database can be restored by pressing the reset button. title="Some data has change. Press save to save the changes to the server!" // Use namespaces to prevent pollution of the global namespace. 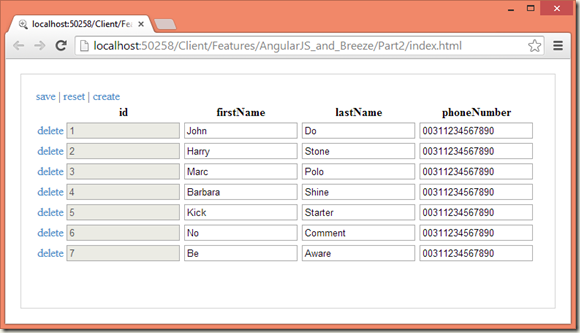 'breeze.angular' // The breeze service module. // Create entity by breeze. 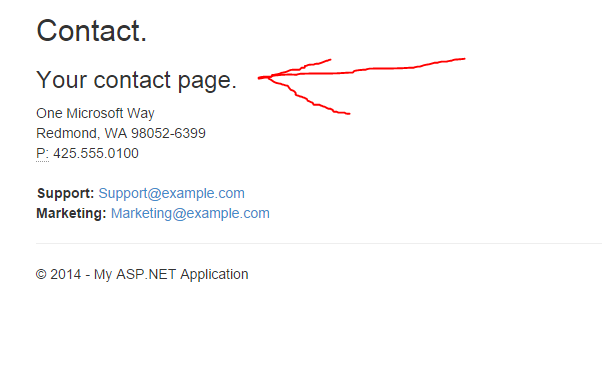 // Show entity to user. 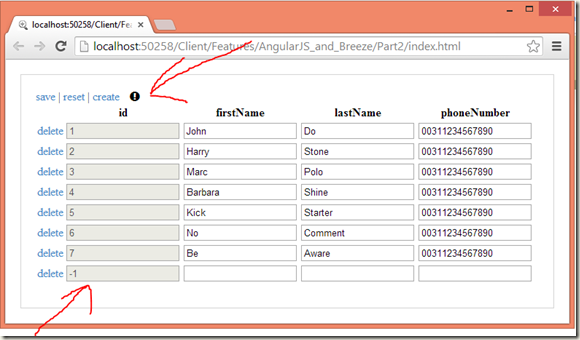 // Make 'id' fields read-only. // Re-seed database and refetch data. // Get entities from the server. 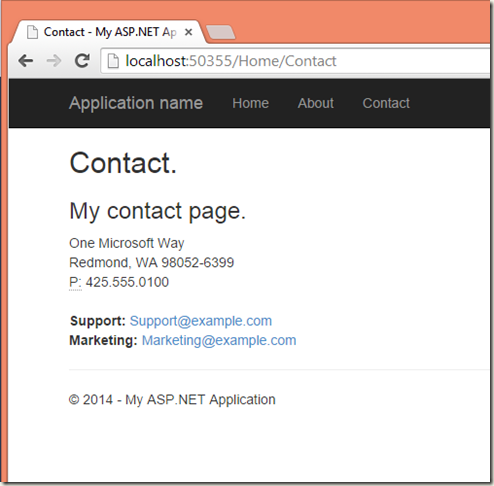 // Use camel case for entity properties. 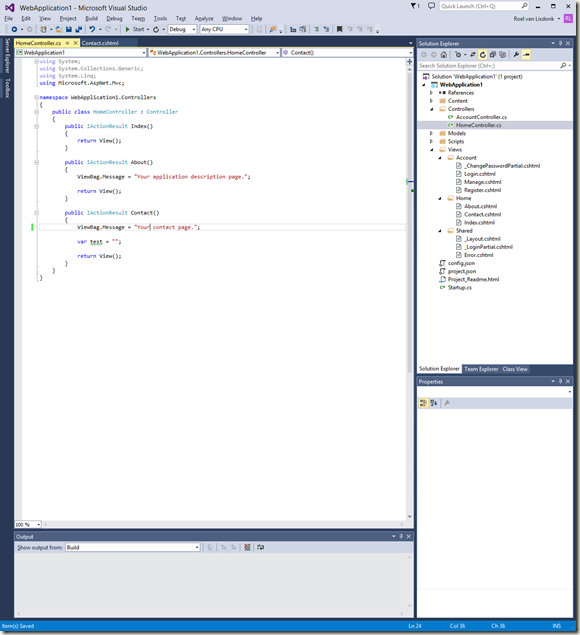 // Configure and create EntityManager (double breeze is needed, because of . 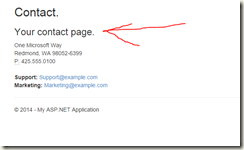 // Get entity fields from metadata. // Show the enties from the server. // Make sure to only subscribe once. // Register for state change. // Remove all records from the "Employees" table. 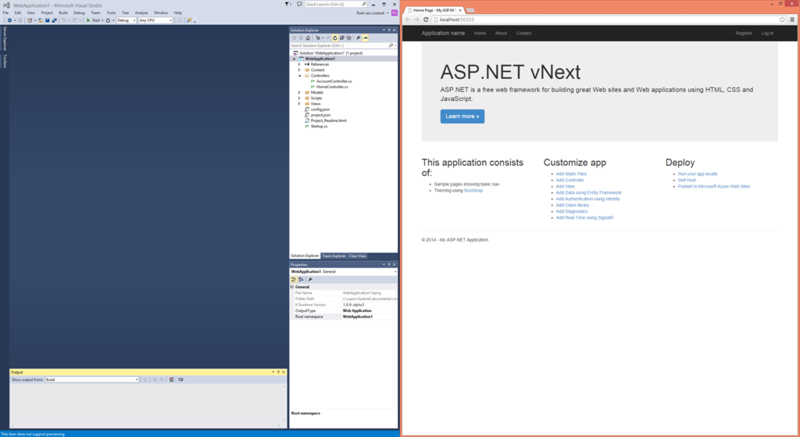 // to the latest state and run the Seed() method. 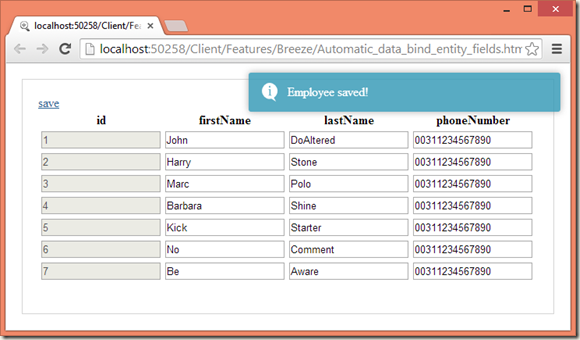 AngularJS and Breeze – A simple crud app – Part 1 –Automatic field data binding. 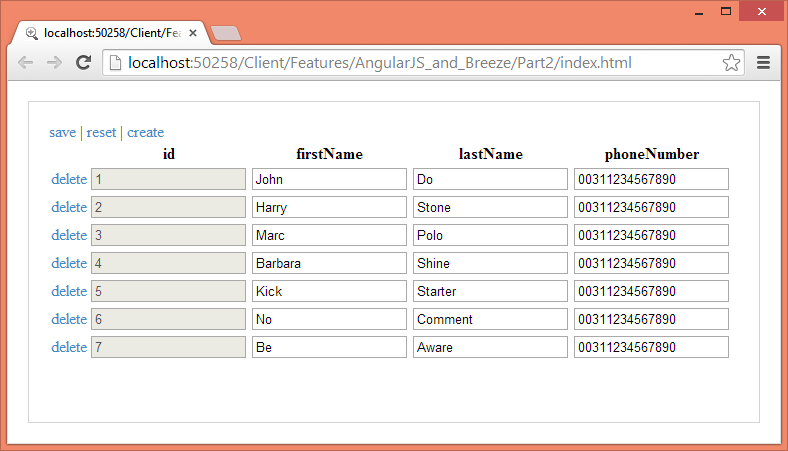 I wanted a really simple view in AngularJS, that would allow me to edit the data in a database table. 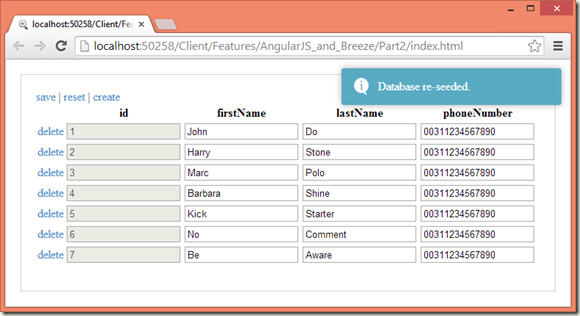 The view should show a grid containing a row for each record in the database. 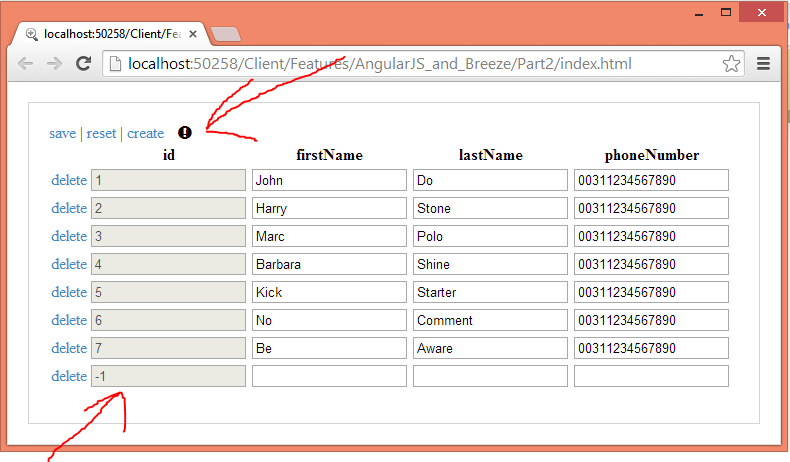 Each record should show textboxes (html inputs) for all columns in the database, except the “Id” column. 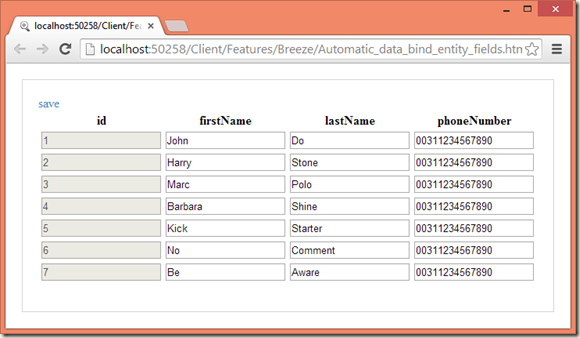 In this way I could edit all data in a database table. 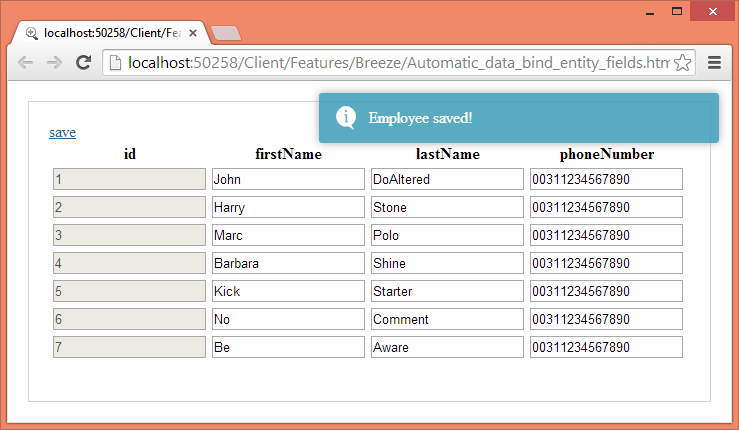 When the user clicks on the “save” button, the data is persisted to the database. 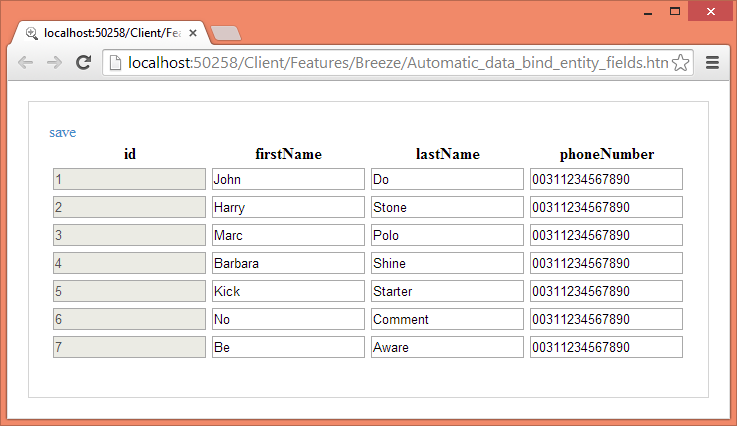 I decided to use Breeze.js for the data interaction. 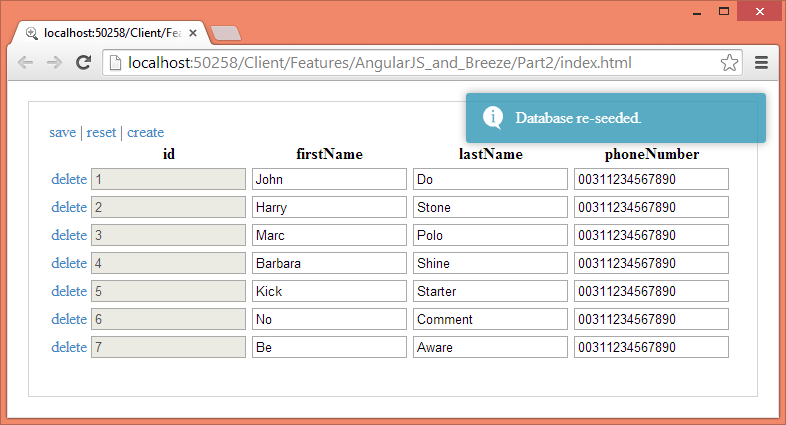 The main trick I used to automatically data bind the Breeze.js entity data properties (fields) to the UI in AngularJS, is getting the names of the entity data properties (database table column names) from the metadata and then using a ng-repeat to loop over the table records and within this ng-repeat an other ng-repeat to loop over de Breeze entity data properties. // Configure and create EntityManager. 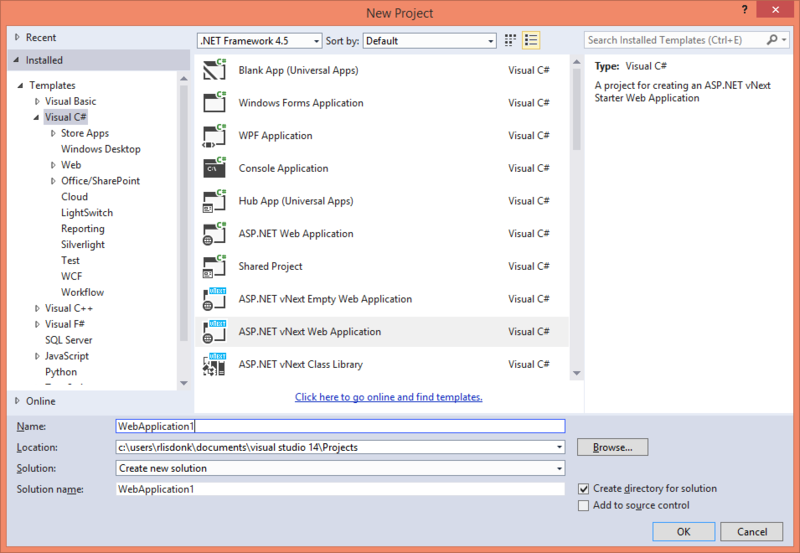 C# snippet: Add CommonAssemblyInfo.cs as link to all C# projects. We use a CommonAssemblyInfo.cs file, to contain all common AssemblyInfo information for all projects. 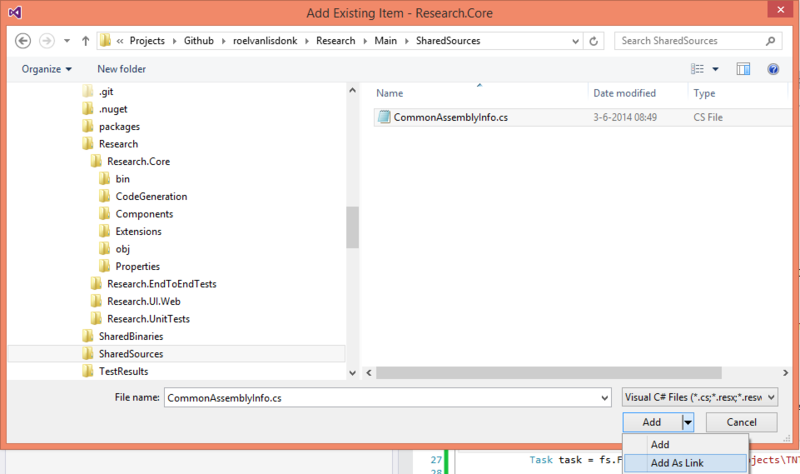 Our continuous integration system, alters the CommonAssemblyInfo.cs file add build time, to sync the TFS build version with the assemblies found in the solution. Microsoft Visual Studio, will merge the information in the AssemblyInfo.cs with the information in the CommonAssemblyInfo.cs. /// Add CommonAssemblyInfo as link to a project. 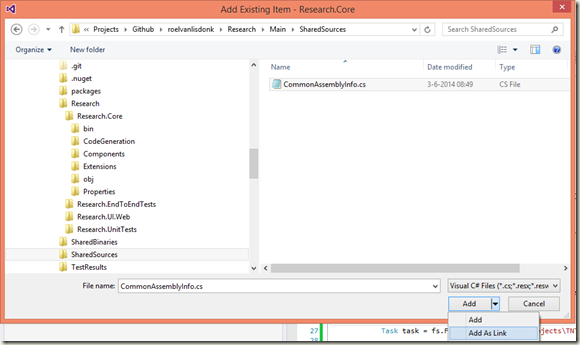 A C# method that I used to remove common assembly information from a AssemblyInfo.cs. This method was used with a small FileSystem.cs class. /// Remove common assembly info from the given content. 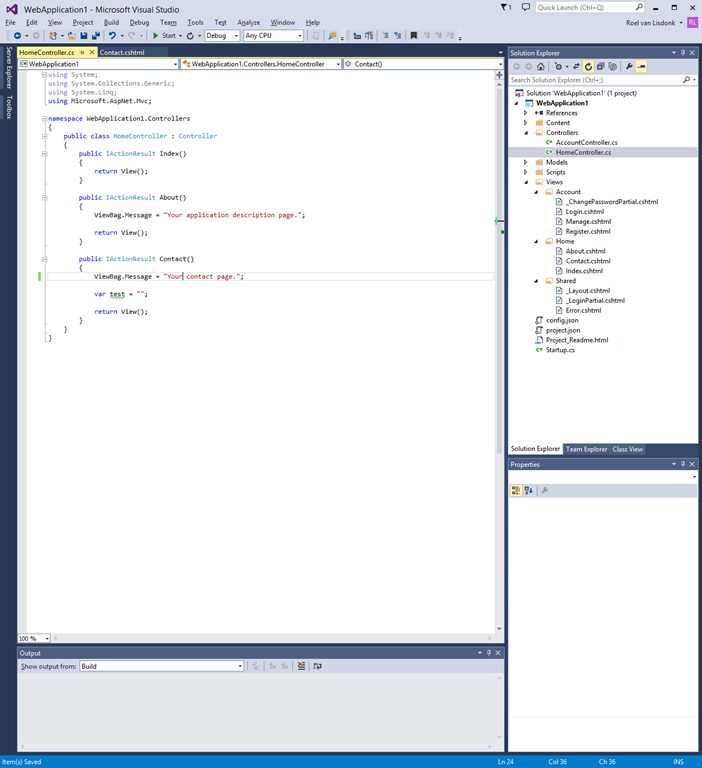 Dynamically call C# instance method by "string" name, without performance overhead. 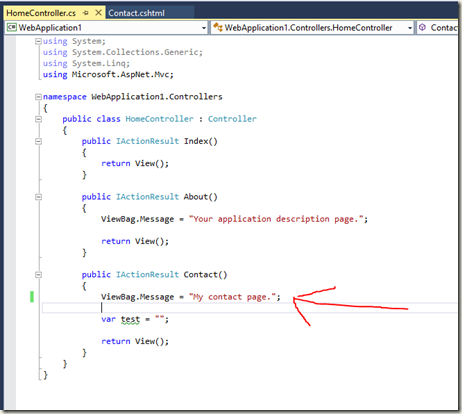 There is no noticeable difference in calling a C# instance method directly or dynamically by "string" name, when you use a cached compiled LINQ expression. // Create parameter "i" for Calculate method. 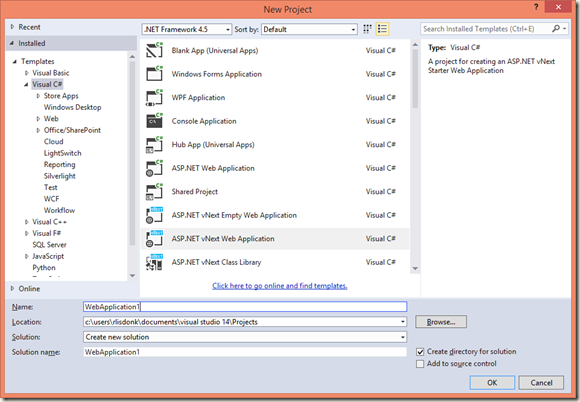 // Create "thisParameter" needed to call instance methods. // Create an expression for the method call "Calculate" and specify its parameter(s). // If the method was a static method, the "thisParameter" must be removed. // Create lambda expression from MethodCallExpression. // Compile lambda expression to a Func<>. 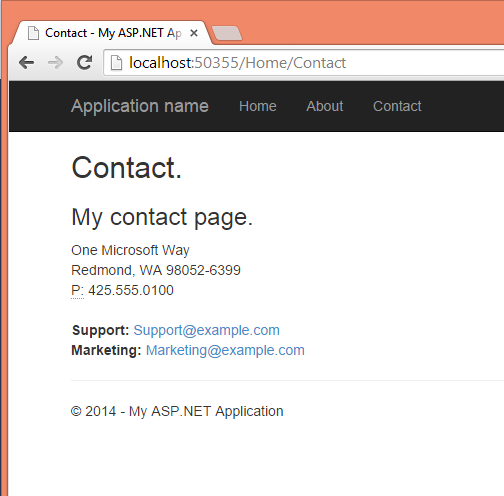 // Dynamically call instance method by "name". // Duration: 1620 ms (1,6s).